Site to help you learn all the tricks of the trade to help you make good bucks in this grueling job, how to find and get tree planting jobs, how to find planters if you are in a bind with your own project, and even planting accounting software, which I developed myself. Hi, I’m a seven year veteran who first started planting in university, and came back some twenty years later to help finance my business. At that time I was asked to put together accounting software by the outfit which hired me, but after being shortchanged some $2000 after another long, grueling summer, I decided to sell my software elsewhere and write down all my tricks of the trade as a means of generating traffic to this site. I also put together a database where planters can easily compare the practices of different treeplanting companies, in the hopes that such a forum would improve treatment towards planters across the industry. During my fifth year of planting, and last year of university, I was egged by the worldy and zany gang of misfits to first travel some around the world before launching my post-uni career. I started in Europe, and after visiting Prague, the place of my birth, I decided Europe would be a more interesting place to move than the Montreal or New Orleans I was considering. I came back for a long, eight month season, saved up a lot of cash and hence began my entrepreneurial ventures. By 2006, no matter how interesting Prague was a place to live, I decided to stir things up by moving into a truck, solar panels on roof, to continue my online business on the road. Saw much of Europe but, after five years, decided I had enough of the cold and moved to Asia. Lived for more than two years on a beautiful island in Thailand, explored Malaysia, Indonesia, Bali and Borneo for more than a year, but finally fell truly in love once I landed in Philippines, where I now reside on a beautiful, remote island, still running my online business but building a kitesurfing camp at the same time. I appreciate what treeplanting has given me, because it has taught me that anything is possible if you put your will to it, and it has introduced me to a host of like-minded eccentrics, who have the balls to go after what they want and who are masters of their own universe. I also love the nature I was choppered, flown and boated through the beautiful and remote mountains of British Colombia. It was a great experience, not something I would like to repeat with my aging bones, but which has left a memorable and endearing mark on my life. When I was first invited by a friend to go treeplanting, I imagined a nice green lawn with cut grass and little strings to guide the tree planters, who shuffle along on their knees while gently negotiating a young tree into the ground using a hand spade. It is far from that notion. Instead, imagine a logging company which comes into a large mountain valley and clears much of it of trees using unimagineably large machines <pic> that grab many trees at once, like chop sticks, and cuts their base using a massive blade. Someone else decides that perhaps a third of them are not of sufficient quality for the US housing industry, and leaves them on the “block” (the area clearcut of trees). Sometimes they burn up the rejected trees in piles or as they are; other times they just leave them there for you to clamber over the entire day. 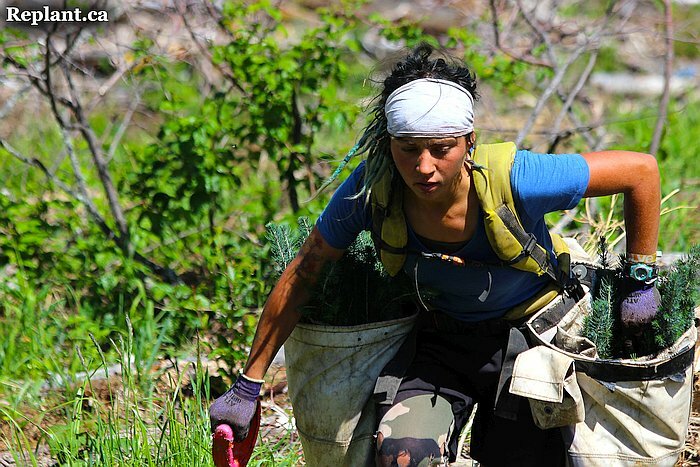 While you carry roughly 300 seedlings on your back in your treeplanting bags. If it is wet and rainy, there is much slash (rejected and piled up, cut down trees) and the ground is very steep, you may be forced to wear heavy rubber boots with cleats (screw-in spikes to help you clamber across wet logs) that only slow you down while you try to swing your heavier legs over the pile-up of dead trees. Meanwhile, billions of bugs such as mosquitos, black flies and nosee’ems (they’re so small you can’t see them, but plenty pesty in light of their size) lunge into your eyes as you turn around in search of your next planting spot, or pierce you in your back for the few seconds you hunch over to plant your next tree, or crawl through the cracks of your clothes to bite you in the softest and juiciest spots, such as the back of your ears. It may be boiling hot, or rainy cold, or severely windy. You are battling the fiercest of nature to ram these little seedlings into the ground. Between two and four thousand of them daily, if you intend to make any worthwhile money. Once you have arrived frenzidly to your next plantable spot, you hope that the first place your shovel reaches is an easy plunge. But often you have to use the full force of your biceps to muscle the large blade into tough and dry clay, or wrestle them through rocks, or between roots. Or you have to screef (remove) away a heavy layer of surface peat or old rotten log. Once you force your shovel into the earth, you have to create a sufficiently large wedge into which you can ram the plug (seedling roots grown into a long plug of soil), preferably straight and at the exact depth, otherwise the forester will fail your tree and you will suffer a painful fine. Doing this rather muscular and frenzied work, under such harsh conditions, for around 10 hours a day. You cannot afford to take very long breaks, otherwise your body may cool down and it will be painful to start up again, or you have given yourself enough time to ponder at the repetitive madness of your daily work to the point of discouraging you from continuing. Obviously anyone who would be willing to endure such conditions, often while sleeping in a tent, eating in another one, and crapping in a third, has to be a certain breed of person. I used to study Aikido, a defensive form of martial arts, and I always marvelled at the difference between that group and the previous one we were replacing in the gym, who were studying karate. Karate is aggressive and offensive, while Aikido is much more defensive, using an attacking person’s motions and momentum against them. I developed a theory that, because it was so much more defensive, students of the Aikido class were much more cheery and positive, while the karate students seemed cross and looking for a confrontation. In the same way I speculate that the good environmental deeds of the tree planter either attracted or fostered a peaceful and environmentally concerned character. Tree planters are generally independent thinkers, care about their health, their environment, and tend to be positioned more on the left of the political spectrum. But they are also zany. I guess you have to be to endure these conditions. Many play musical instruments and are creative in general. Many work hard but also party hard. 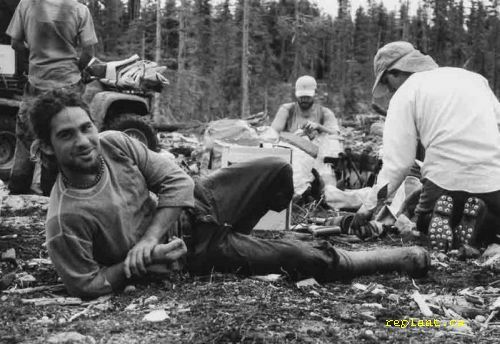 I definitely feel a nostalgic romance about tree planters in general. 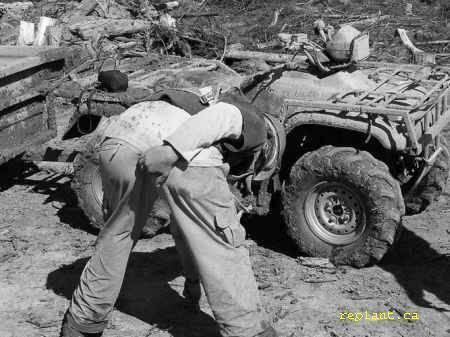 In the days when I first started planting (around 1990), tree planters were comprised of three types of people, about one third each. In British Colombia, one group owned some property on an island along the coast, where they often had no electricity, raised their own cows, didn’t pay taxes, and worked hard treeplanting for a certain amount of months so that they could collect unemployment insurance for the rest of the year and grow dope on their property to sell to the Californian market. I heard that the government would occasionally drop fliers from planes reminding the citizens that they actually lived in a country and should contribute something towards taxes. The islands were difficult to get to and the BC ferry system was technically the largest naval fleet in the world (in terms of number of boats). Such islanders felt their island was their own country and were not interested in integrating themselves into the corporate and consuming world. The second group also collected unemployment insurance for the rest of the year, but would use it to travel around the world, mostly in third world and inexpensive countries, where they could live like kings and learn many interesting stories about other countries. 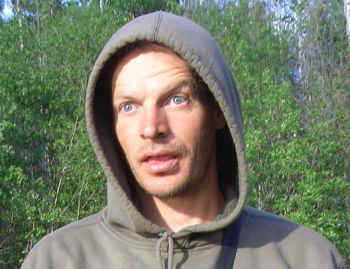 I found these two groups of tree planters quite interesting and they varied in age – from 20 to 53. The third group were like myself – young students who worked hard to pay their way through university. But they were zany and interesting as well. Now, some 17 years later when I have returned briefly to this profession, I found that almost the entire group is now comprised of the last group. As if the young students lusting for money and willing to expend their bodies to a greater degree took over the other two groups, who were no longer willing to work for the reduced tree prices. The same thing is apparently now happening in the pine cone picking industry. One fast planter described to me how he makes about 600 bucks a day picking cones because the industry is mostly populated by older crack heads who are not capable of picking so many cones, for which reason the prices are designed for their speed. I gather this industry might also eventually be invaded and taken over by the young bucks. After all, the higher the output of each person, the greater the profits for the company, and hence their attraction to such productive personnel. But now I feel they must perceive us as just part of the same insane industry which would eliminate an entire forest – their natural habitat – in the first place. Now I think they might be considering whether to maul these destructive creatures. But they usually leave us in peace. Although once I heard that a planter was busy working on one small BC island <move to stories> while a curious small deer would follow behind him, nibbling off the juicy crowns of the trees he had just planted. The deer would stop after it finished its nibbling, stare at the planter with wide curious eyes and wait for him/her to provide the next piece of desert. In defense of this the nurseries would experiment with cougar urine and other natural or chemical liquids to help scare away such snackers. Or the humans could help eradicate such nuisances, as the planter told me that the island’s pub specialised in “bambi burgers”. Other times a bear might sit on the block for the longest time, staring at a planter as if he were trying to figure out what on earth they were doing. I myself saw a moose cross over my piece and give me a casual look. 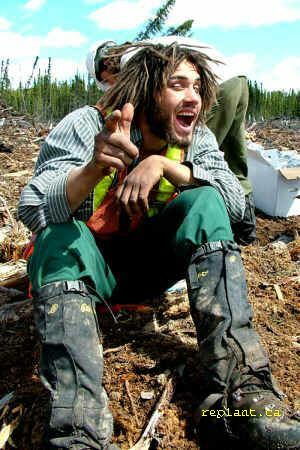 < links to other sites, like replant.ca, http://www.tree-planter.com/, safety tips for treeplanters from the government of British Colombia <link on partner page? Create strong call to action. Or like/share my travel stories.